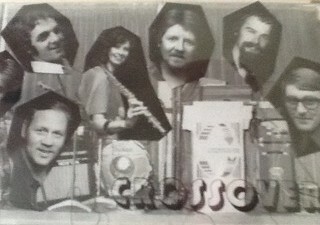 Originally named Crossover the band would then turn pro, losing Rob and with Paul Hodder on Bass, and renaming themselves Good Cookin'. Played a mixture of soul, r&b and jazz rock. This included lots of Stevie Wonder (The whole of the 'Songs In The Key Of Life' album), The Crusaders, Isley Brothers, etc. Their first contract was house band at the Club Femina in Amsterdam for seven nights a week for a month. They worked for the Intercontinental Hotel chain and did one monthly contracts as house band at several of their hotels in Europe, The Middle East and Skandinavia. 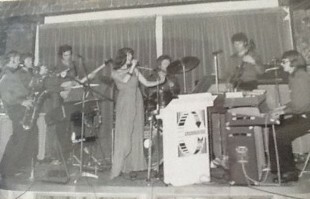 The band played seven nights a week and Sunday lunchtime from 9-2am for dining (quiet jazz) then dancing (chart material of whatever country they were in at the time!). They also backing the cabaret artists that came in for a week at a time from all over the world. Rob, Paul and Phil were getting a bit homesick after a while and decided to come home to Cornwall after our their last contract which was in Dubai in 1977. Rob and Phil would join Chris Gale and Galeforce, Paul started teaching guitar and bass. Did you play in this band? If so please get in touch!